This is the perfect meal to cook up in a hurry when you get home from work. 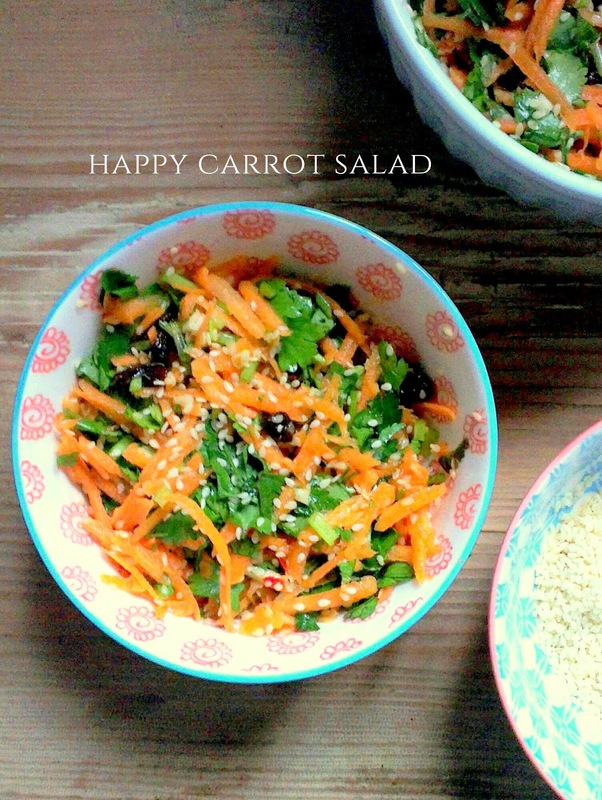 It's quick, easy to make, deliciously tasty and healthy too. The tofu, ginger and green veggies are much easier for your body to digest than a meat dish, so you should even find you sleep better after it too. Sesame seeds are full of magnesium which is also good for beating stress and tension. Heat a non stick frying pan on a medium to high heat then add the olive oil and the tofu pieces. Fry gently for a minute or two then add the ginger and the garlic. Continue frying until the tofu turns caramel brown and crispy and turn it over to cook the underside. Lastly, add the sesame seeds and thai chilli sauce while the pan is still hot. Then take off the heat and continue to stir so the tofu is coated with the sticky sesame seeds. Add a little water into a separate pan and bring to a high heat. Add the vegetables and steam in the water until cooked but still crunchy, just a few minutes usually does the trick. 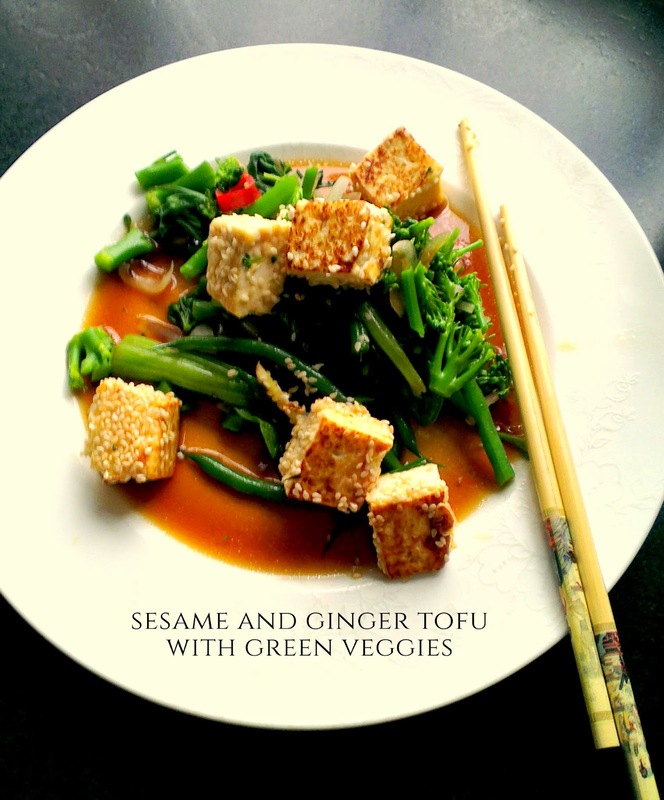 To serve, add the tamari soy sauce to the vegetables, plate them up and serve the tofu nestled on top. You might need some extra soy sauce to season the tofu at the table.